Before you know it, all of your lax balls (especially the greasers) are well over 100 feet away from the lax goal. Time to waste 20 minutes to go shag the balls. 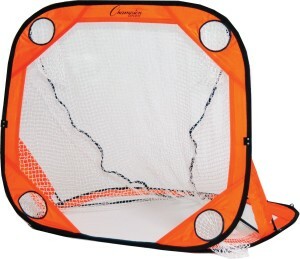 Get a lacrosse backstop net and you'll never shag a ball again! 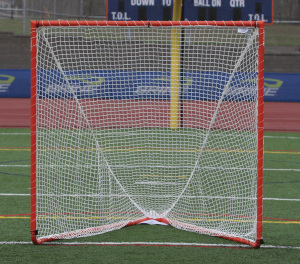 The main purpose of a lacrosse net backstop is to make sure that lacrosse balls don’t go past the net. Oftentimes during practice session, the entire flow is broken simply because there isn’t a good backstop available. Finding and collecting the ball again and again can be very time consuming which is why net backstops are a must. 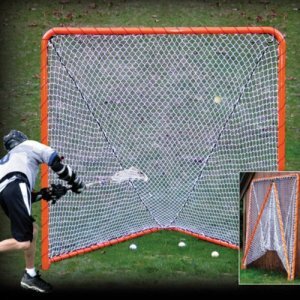 They allow you to rip as many shots, as hard as you want, at the lax goal and not have to worry about them flying all over the place, nor having to collect them! 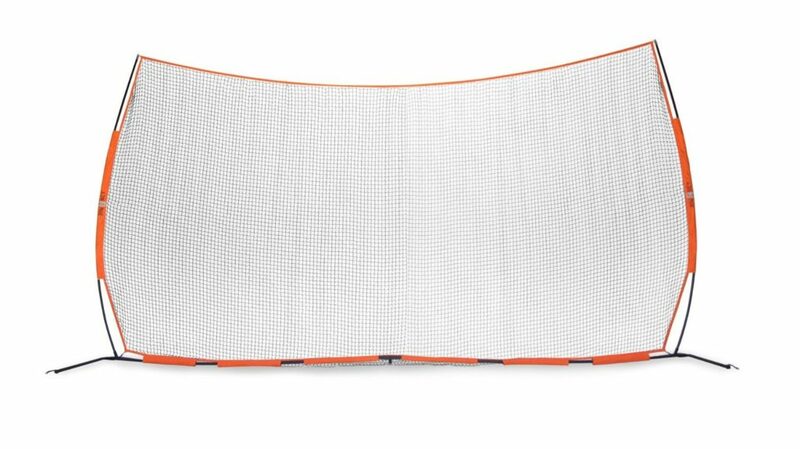 Now just as we've done before (with lacrosse rebounders) we're giving you a complete guide to buying a lacrosse backstop wall, with the best prices for home. So you spend all this money on balls, but what happens when you lose them when you miss the cage? 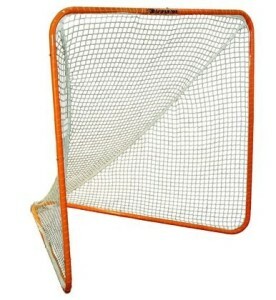 Here’s an idea; a lacrosse backstop! 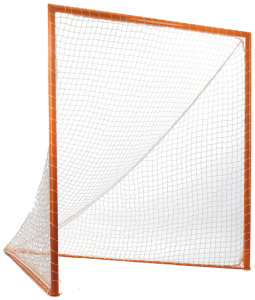 Throw a lacrosse backstop behind your net and stop worrying about losing half of your balls. 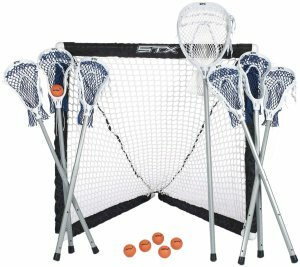 Lacrosse backstops are essential for players that shoot anywhere near woods, lakes, or in tight quarters next to other buildings and houses. No one wants to break a window! 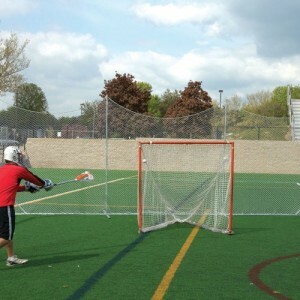 A lacrosse backstop will eat up all of your high and wide shots so you can practice all you want without having to spend half of your practice shagging balls. 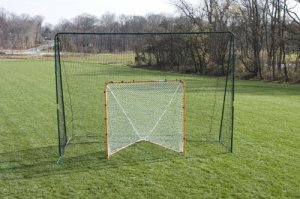 Lacrosse Goal Backstop – A lacrosse backstop that sits right up against the lacrosse goal, or directly behind your lacrosse goal just 5 feet or so away. Are usually around 10 feet in size. These types of barriers have a very narrow scope and at times won’t be as compatible as they should be because of thickness issues with the goal posts. 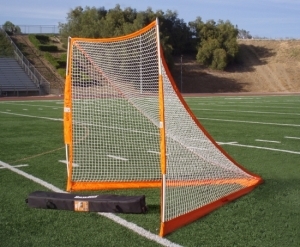 Lacrosse Net Backstop – A lacrosse backstop that you place around 10 to 20 feet behind your lacrosse goal. These are typically larger backstops 10×20 feet in size. These types of net backstops usually come equipped with ropes and clips around the corners. This allows the backstop to be easily put up in practice areas and help keep the backstop tight and secure. 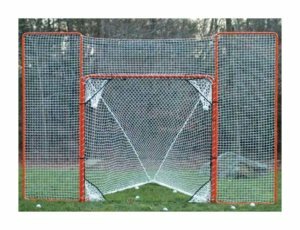 Replacement Backstop Netting – From a variety of brands, buy the right lax backstop netting to replace your ripped or torn system. 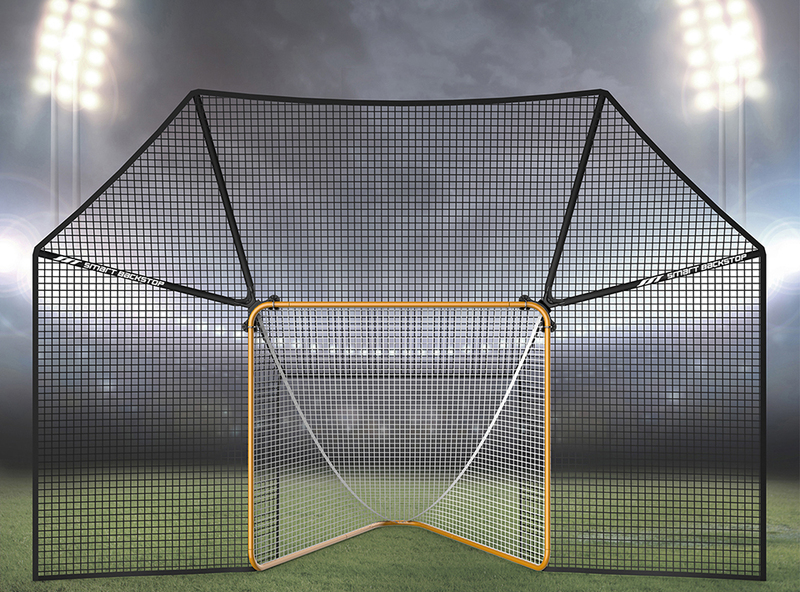 A lacrosse backstop that sits right up against the lacrosse goal, or directly behind your lacrosse goal–just 5 feet or so away. It seems like a steep price at $$$. 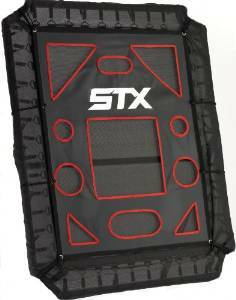 But, the smart backstop is the best lacrosse backstop on the market. It is easily installed, and offers 4 feet of coverage on all sides and the top of the cage. It also can fold up for easy storage behind the goal, so you don’t have to detach it if you want to work on some crease rolls. 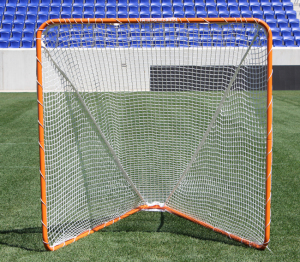 The wings on the sides of the backstop even fold up separately so that you can practice shots from the goal line extended without worrying about shooting high. 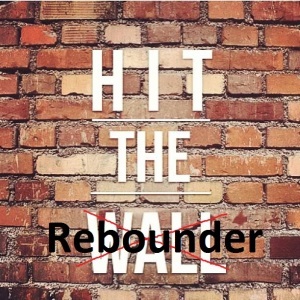 This backstop will encourage you to shoot for those high corners, because if you miss you won’t be chasing down ball after ball. Players love its durability, ease of use, and design. 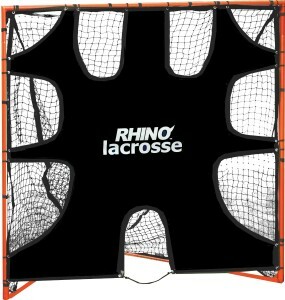 Best lax backstop on the market. Customer reviews regarding the product state that it is one of the best practice tools in the market that is easy to set up and fold. It also impresses with its professional looking design and all-in-one solution. Okay so for around $$, this is one of the best, most affordable lacrosse ball stops in 2018. 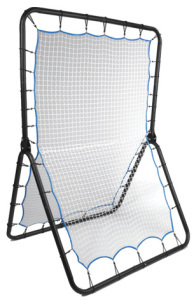 Our favorite feature about this backstop net is it's low-profile, easy to install design. thanks to its Velcro sleeves at the base. You can easily set this up in minutes, with no tools required right out of the box! Simply set up, play and then pack away in a handy storage bag included just for that purpose. The size of 12 feet by 9 feet is perfect for any angle of lacrosse shot, both indoors or outdoors. 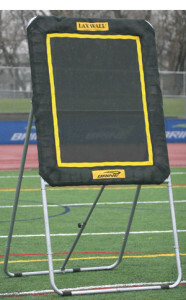 This lacrosse backstop system is completely foldable and portable to easily move around the lax field. Also, it comes with ground stakes to easily fix into position to trap some hard shots! A perfect, low-budget option for you! 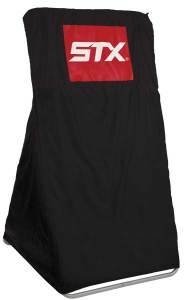 Suitable for use both indoors and outdoors, this product can also be used for other sports that involve throws or shots such as hockey, baseball or even soccer. 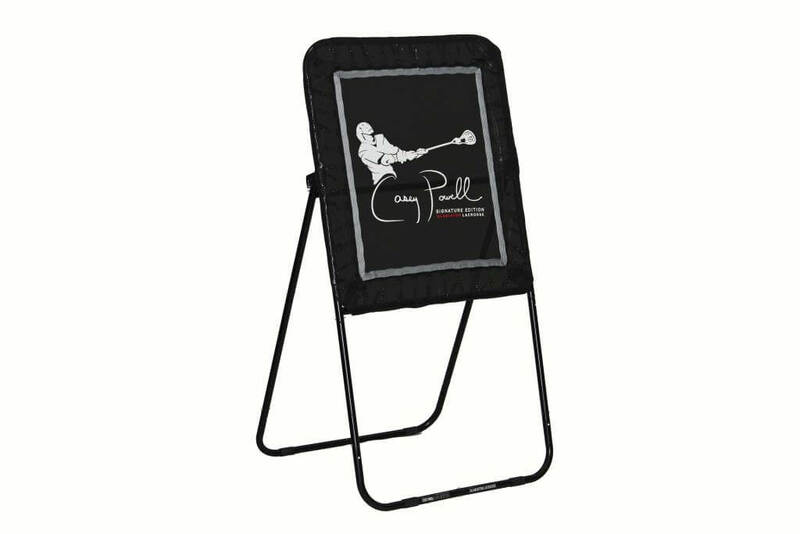 Get one of these and you can have your high schooler practice all their shots with one net. This design is a little cheaper than smart backstop, but for a reason. It covers 12 feet by 9 feet so you can have 6 feet or s on the sides covered, and 3 feet above covered. The netting is Rukket tough material, and includes self-aligning bars so that the net stays taut throughout its use. 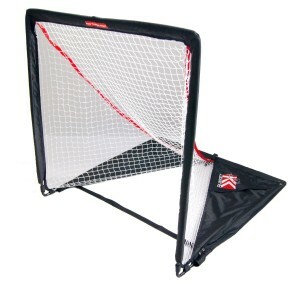 The Rukket Sports Lacrosse barricade comes with a carrying bag and stakes to keep the net tight to the ground. 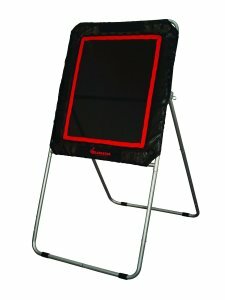 If you don’t have $$$ to drop on the Smart Lacrosse Backstop, this Rukket Sports portable lacrosse backstop will to the job. 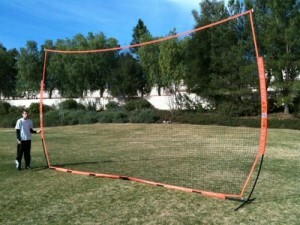 The netting holds up to missed shots and its easy design lets it be set up and taken down within minutes. 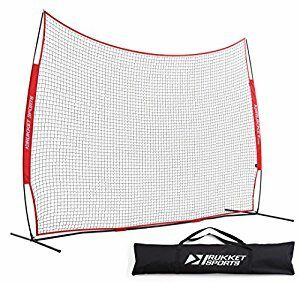 Another one of those nets that work well for multiple sports, this piece from Rukket Sports will catch those wayward balls with much ease. Keeping things simple, this rectangular net is a sturdy choice that has been designed to withstand weather and outdoor conditions. 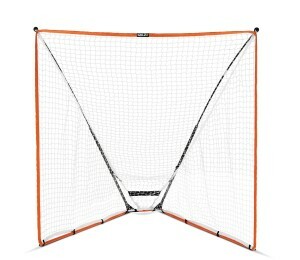 Alright so the EZ Goal lacrosse backstop is definitely the cheapest lacrosse bounceback we found available. And funny enough, the reviews on it are actually pretty good! 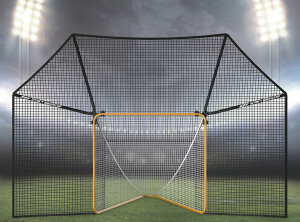 The key thing to keep in mind with the EZ Goal lacrosse backstop system, is that its not as back as other backstop nets. Users like that this tool is easy to store and can fold easily. Plus, it works as a net and goal in one. Made to last in outdoor conditions, this one will keep your practice sessions going strong for a long time. Easy, tool free installation, suitable for indoor and outdoor use and a steel frame shod with rubber feet make it a quick favorite among laxers. The size is another plus with the product being just big enough to get your shots but not too big to be an eyesore. 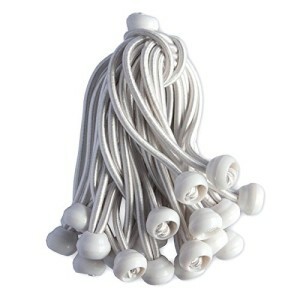 Customers have stated the product comes in appealing colors and provides stability. It is sturdy and perfect for practicing shots. The product is easy to set up and comes with numbered parts that can assist in assembling. 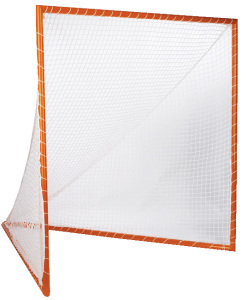 A lacrosse stopper wall that you place around 10 to 20 feet behind your lacrosse goal. 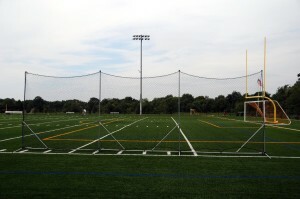 These are typically larger lacrosse nets and backstops created to make sure that the purpose of practicing shots is met. The existence of these tools has made it easier for athletes to practice sports without having to do damage to nearby areas. So Predator Sports launched their own lacrosse ball stop, and we are very excited for it. Not only are the reviews phenomenal, they seem to have addressed all issues other lacrosse backstops have had. 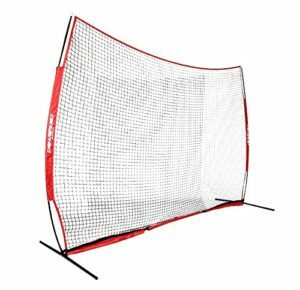 Between it's huge frame, heavy-duty net, and strong poles this predator lacrosse backstop is a must have! Their are a few differences between this Brine lacrosse ball stop and the one above. Those two main differences are that this backstop requires stakes and ropes to tie down, and the lacrosse backstop net is only 1.25mm instead of 2.0mm. If you or your child plays at an advanced level of lacrosse, or tends to have hard shots, we recommend going with the 2.omm net above. Customers who have used the product have found it to be quite useful. They have said that even in extreme weather conditions this product tool remained sturdy and didn’t tear. This practicing tool comes in black color which goes easy on the eyes. This product is compact and easy to set up according to customers. They have said the product comes has a nice design and is stitched perfectly to meet the purpose it is made for. 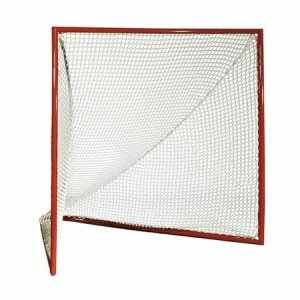 Alright so it looks like the Champion lacrosse backstop might be one of the cheapest lacrosse net backstop you can buy! 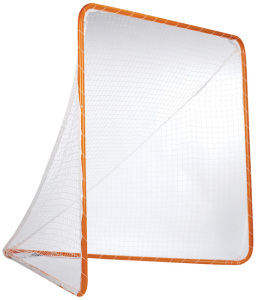 Coming it at around $260 bucks, the quality of this lax backstop looks pretty good. It's very comparable to the brine lacrosse backstop and the stx ball wall since it's 10 feet by 30 feet. It is freestanding just like the brine lacrosse backstop. Here are all of the specs for ya! Can be used for other sports as well! 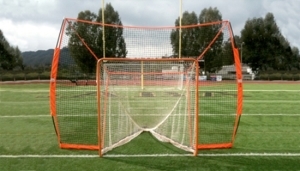 This stationary lacrosse backstop is idea for field settings that rarely move. It measures 10 ‘ by 30’, which is pretty much as large as it gets. The netting is black, designed to fade into the background so it can be easily seen through for viewing. 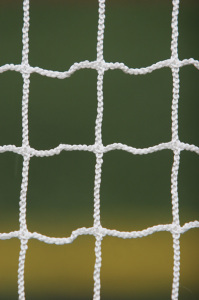 The netting system uses a top line string, so the net in the middle does not droop. 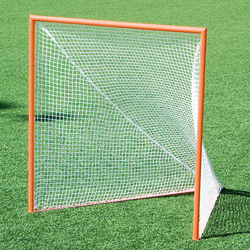 At $$$, this stationary lacrosse backstop stakes into the ground and has powder-coated metal poles that keep the system pristine even in all weather conditions. No matter what the weather condition you can now practice without worrying of your practicing tool be damaged. 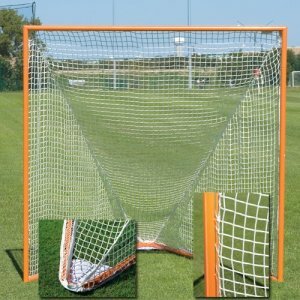 If you have a Brine lacrosse backstop then you can purchase a Brine replacement lacrosse net backstop directly from Amazon. 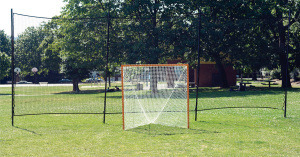 This lacrosse backstop netting will fit a 10×30 lacrosse backstop. So don't purchase it if you have a larger or smaller lacrosse netting backstop! 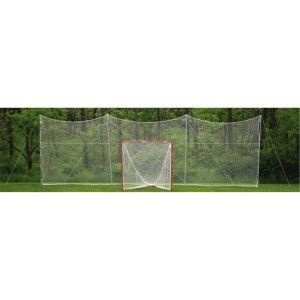 If you are looking for replacement lacrosse backstop netting then you have come to right spot. 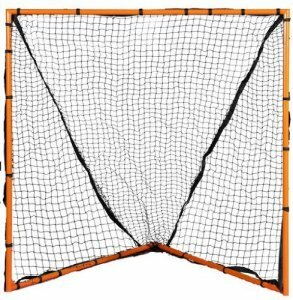 Click the link above to be taken to Amazon, where you will find pre-selected lacrosse backstop netting. Simply choose the netting that fits the size of your backstop! Backstops in lacrosse are a must. I mean, we wrote an entire buying guide on backstops. 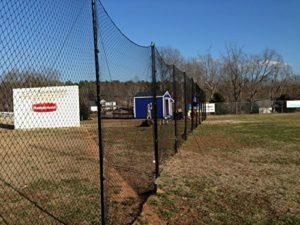 Whether it’s saving time shagging balls, minimizing damage to surroundings or making players better because they are aiming for the edges rather than the middle of the goal, everyone needs a backstop. 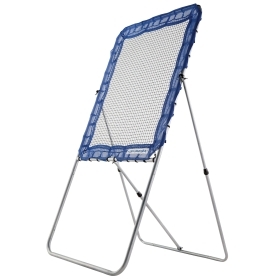 There are a lot to choose from but Smart Backstop has risen to the top of the heap. 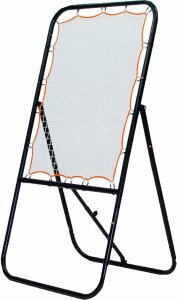 If you’ve been around lacrosse for a while, you may have seen this backstop on the market before. In its earlier life it was under the Reebok banner but since then, the original patent holder took back the product and re-engineered it for durability and ease of use. Looks like both goals were accomplished. The first impression of the product is the quality. Once out of the box, it was clear the few parts that make up the backstop were designed with durability in mind. The gauge of the netting will withstand all four seasons and where there’s stitching it’s solid. 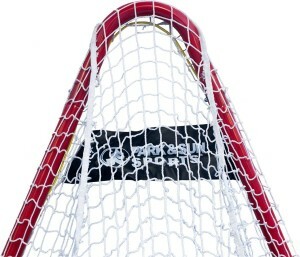 The brackets that hold the backstop to the goal are also built to take on the fastest rips again and again. Assembly was pretty simple. No tools and there are easy-to-follow instructions included with the backstop and if that’s not enough, a video on their website, www.smartbackstop.com. Starting from taking the backstop out of the box to having it ready to go took one person around 15 minutes. Once up and ready, Smart Backstop easily handled all our shots. The “give” of the netting allowed the balls to simply trickle down to the ground around the goal. Also, the lean of the backstop caught bounce shots that missed high. It also caught angle shots from the side. The sides of the backstop extended just far enough to simulate the crease, which was great when practicing shots that started at X. If you got too close or touched the netting, you knew you were probably in the crease. But the best part of the Smart Backstop was the ease in which the net could be folded behind the goal while still being attached. If your goal is in your backyard, this feature is worth the price alone. Just fold the backstop behind the goal and move everything as one piece when it’s time to mow the lawn. If you’re running a team practice, pop up the backstop during drills and then fold it back down when it’s time to scrimmage … a huge timesaver for your team. All in all, Smart Backstop seems like a no-brainer for players, coaches and especially lacrosse parents. 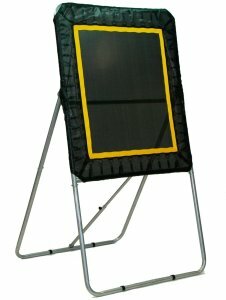 Thank you for checking out the Brine Lacrosse Rebounder Review, be sure to share your thoughts below. 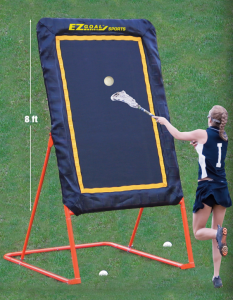 For a full list of rebounders, checkout our complete lacrosse rebounder buying guide. 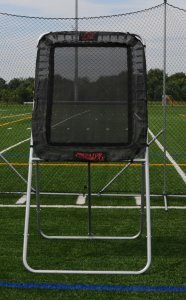 One of the great things about this rebounder is that it was made specifically for lacrosse players! Made with a heavy duty aluminum frame (1.5″) and a big rebounding target of 3'x 4′ you really can't go wrong scooping this bad boy up, because it's freaking durable. 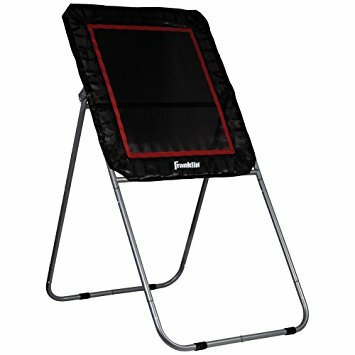 Conveniently enough, the rebounder is fully adjustable to provide multiple rebounding positions and heights. You can also fold it up for easy storage! This can be used for single wall-ball or you can use it for team shooting and passing drills since it's easy to move. If you're looking to improve your passing and shooting skills, scoop it up today and be sure to share your thoughts on this product below!